Sam Altman, CEO of Y Combinator, offered an awesome class in the Fall at Stanford on “How to Start a Startup.” The book “Zero to One” was recommended during one of the early lectures. 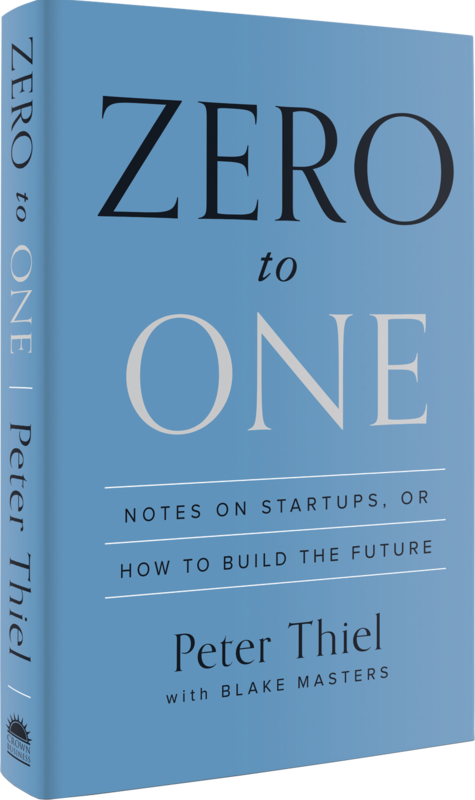 For class #5, Peter Thiel, the author of “Zero to One,” was a guest lecturer. I had put the book on my list to read, and even though the homework for his lecture included the first three book chapters, I opted to wait until I could read the entire book. Since I made the choice to wait, I wasn’t sure I would actually like reading the book, based on the video. I was wrong. The first point to know is that although it makes sense, if you do watch the video, the presentation has been condensed compared to the information in the book. You can expect the future to take a definite form or you can treat it as hazily uncertain. (p61) Shape vs randomness. The engineering question: Can you create breakthrough technology instead of incremental improvements? The timing question: Is now the right time to start your particular business? The monopoly question: Are you starting with a big share of a small market? The people question: Do you have the right team? The distribution question: Do you have a way to not just create but deliver your product? The durability question: Will your market position be defensible 10 & 20 years into the future? The secret question: Have you identified a unique opportunity that others don’t see? Thiel states the bottom line as being able to see the world new and fresh as if for the first time and creating the change which will make the future different and better.